The St. Louis Job Corps painting students recently worked on two homes for the East Side Heart and Home Family Center (East Side). The East Side Heart and Home Family Center seeks to improve the quality of life for low income families in St. Louis by providing free homeownership education, as well as assisting them in becoming homeowners. East Side has demolished 9 derelict houses, completing 21 homes, which has revitalized and added value to the neighborhood. 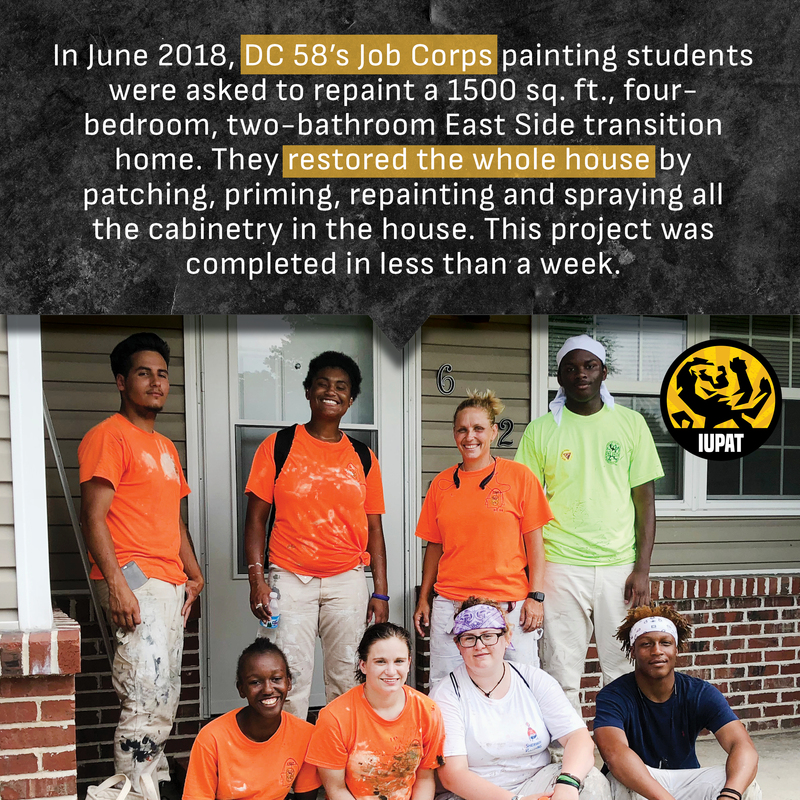 DC 58’s St. Louis Job Corps painting students, along with its Illinois apprenticeship program, initially helped by taping a new home in May 2017. Due to the students’ exceptional quality of work, they were offered the opportunity to hone their skills and complete the work by caulking, applying putty, painting trim, and spraying all the doors of that home. In June 2018, our Job Corps painting students were asked to repaint a 1500 sq. ft., four-bedroom, two-bathroom East Side transition home. They restored the whole house by patching, priming, repainting and spraying all the cabinetry in the house. This project was completed in less than a week. 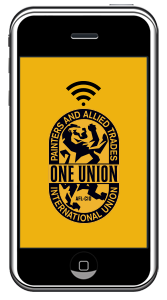 As a result of the fine work done by our young apprentices, the IUPAT Job Corps program will continue to work with East Side in the future, including home projects in February 2019, as well as the summer of 2019.